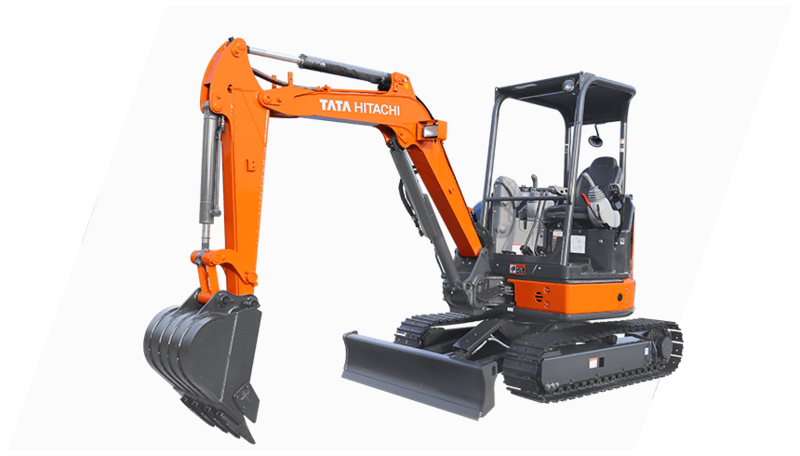 ZAXIS33U mini excavator is powered by Hitachi hydraulics in a compact zero-tail form factor supported by a tough structure. It offers the latest technology from Hitachi, designed for Indian needs. 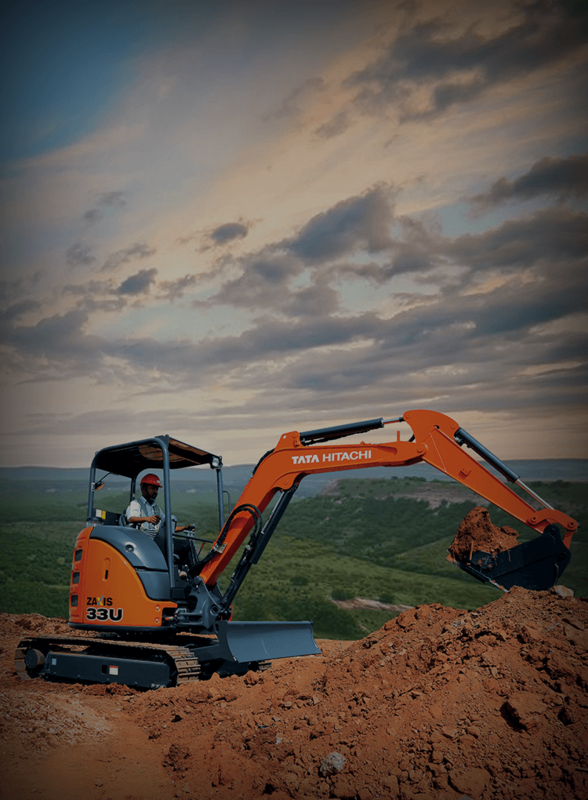 ZAXIS33U assures superior performance, operator comfort, consistency and a good operational economy. Hitachi cabs and canopies are known for operator comfort. They are spacious with ample leg room. The operator station is designed to minimise fatigue. The console and seat are designed ergonomically, to maximise operator comfort. The foot step is lowered for easy access. A host of features like armrests, drink holder and seat back box helps to enhance operator comfort. The radiator and oil cooler are arranged in parallel instead of conventional in-line arrangement, to promote easy, efficient cleaning and cooling. Their wavy fins can be easily cleaned by blowing air. Dust-proof indoor nets provide for easy removal of debris and dirt. The split-type floor mat can be easily removed and its surface patterns allow for quick sweeping. The upper structure frame is reinforced with proven D-section skirts. The height of the D-section is increased to boost durability against obstacles. The blade is of box-section structure for higher ruggedness, and its stays have openings for easy flow-out of mud. Front pins are joined with a tight fit to reduce jerk and noise significantly, thus enhancing durability. The pins are lubricated through HN bushings, having an abundant grease-retaining capacity, extending greasing intervals. Main hoses are sheathed with hose protectors at the swing post. The bottom of the boom cylinder is protected with a V-shaped boom cylinder guard. The four-side reinforced arm is sturdy thereby for greater durability. All covers are wide-opening for direct access to service points and improved serviceability. A cover adjacent to the radiator extends vertically for easy cleaning the radiator. The fuel refilling port is placed inside the cover to avoid dirt entry and fuel theft. The new tank cover is lightweight and wide-opening for easy refueling. Track frame tops are sloped to let mud slide away, curbing mud packing.